in our office are proven to work: no fads and no gimmicks. We believe results sell themselves. Has your dentist asked you about how you sleep? Or nutrition? by looking at your mouth. We treat the whole you. We want you to be knowledgable about your treatment options. Folsom Family Dentist provides passionate, high quality care for the entire family. At Folsom Family Dental, we are proud to provide compassionate, high quality care for the entire family. We place a strong focus on education and prevention. 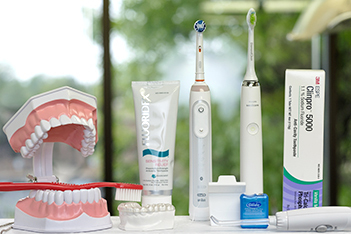 A little prevention goes a long way to having good lifelong oral health! Our goal is to keep you from needing additional work by developing a strong preventative and restorative care plan. We use a personalized approach with digital x-rays, flat screen monitors, and large intra-oral color pictures of any problematic areas to ensure you have a full understanding of what treatment you need and why. Questions are encouraged! We provide a wide range of treatment, from regular cleanings to implants and reconstructive cases. Our goal is to provide oral health education and excellent care to our patients with the latest in proven technology and diligent communication. Comprehensive treatment planning is not just about what you need done by when — it’s about making a treatment plan that is suited for your needs and that will stay optimal for the long term. Prevention is at the heart of everything we do at Folsom Family Dental, and that means we spend copious time educating patients on oral health and its effects on systemic health as well. Cleanings are the removal of dental plaque and the preventive maintenance of the gums customized to our patients needs. Examinations are biannual checkups in which the doctor both checks on the health of the teeth, assesses X-rays and discusses concerns. X-rays are digital 2D and 3D low radiation images of the teeth and surrounding bone. A porcelain, gold or porcelain hybrid shell that sits over a tooth, replaces missing tooth structure and protects the tooth from additional damage. Invisible aligners that gradually move the teeth over time to straighten teeth and improve the bite. A titanium screw placed in the bone that is designed to hold a crown and functionally and esthetically replace the function and form of a tooth. Dentures and partial dentures are removable dental appliances that replace missing teeth and surrounding tissue. They are made to closely resemble your natural teeth and can enhance your smile. There are two types of dentures - complete and partial dentures. Complete dentures are used when all of the teeth are missing, while partial dentures are used when some natural teeth remain. customized nighttime device that optimizes airway and therefore protects the teeth, and is able to aid in everything from clenching, grinding, and TMJ issues to controlling snoring and controlling sleep apnea. We love to give back to our community! Folsom Family Dental is proud to be a provider for the Old Age Pension (OAP) program in Boulder County. This program provides financial assistance to residents ages 60 or older with little or no income, and by being a part of this program, we are constantly giving care to Seniors at no charge to them. Folsom Family Dental is also proud to be a certified GREEN practice! At our practice you may notice differences from other practices, from paperless charts to all digital x-rays to cloth bibs and barriers, which minimize our waste and provide an optimal environment for our patients. Dr. Sara is very charming and knowledgable, and loves using leading-edge technology. 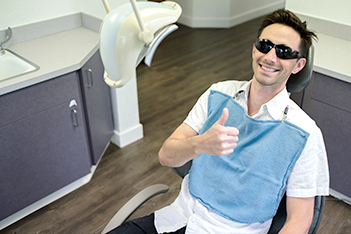 Folsom Family Dental staff is relaxed and friendly (and after so many years are a lot like family!). Dr. Pourkay was informative and I really appreciated how she went into depth to make sure sure I understood my care plan. Debbie did my cleaning and was so gentle I had almost zero discomfort! I'm so happy I've found a Dental office that I can feel comfortable going to. Thank you all! Dr. Sara thoroughly goes over a plan and then sticks to it. Not to mention how gentle the hygienist and assistance are. If you were like me and haven't had the best dental experiences, yet really need to get some work done, I would strongly recommend trying Folsom dental out!!! Dr. Sara and staff saw me last minute. They are awesome! I was a nervous wreck they explained everything and were very warm and friendly. This place is amazing! Dr. Sara and all of the staff here are so professional and friendly. A trustworthy dentist is so hard to find and I've finally found a place my mouth and wallet are safe! I was made to feel very comfortable and cared for by Dr. Sara and the entire staff. I really appreciate the atmosphere and friendliness of the entire office. My hygienist was very gentle and thorough. I will recommend Folsom Family Dental to all of my friends and family and have found my dentist.